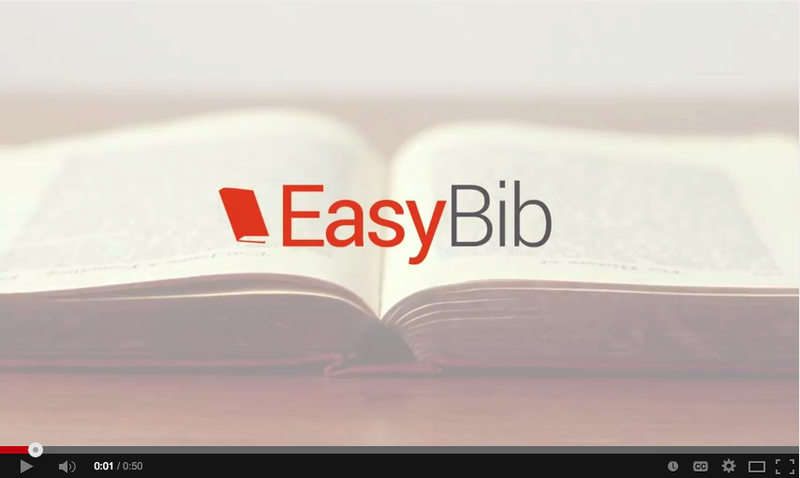 EasyBib Tools is definitely a must have app for college and research students. 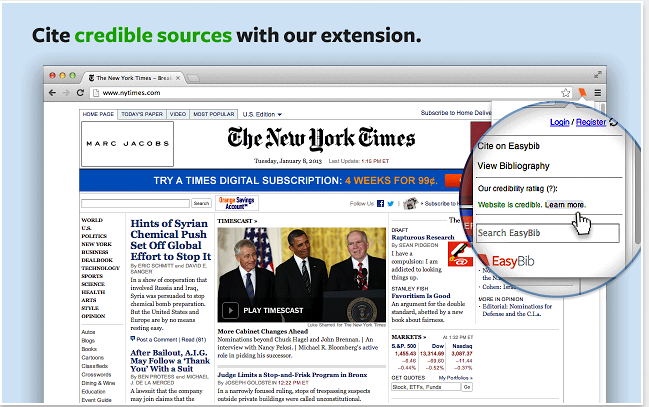 With one click you can generate citations for websites and create bibliographies. It is a time saving tool for sure but I would not trust it one hundred per cent, always go through the citations and make sure they are properly formatted. EasyBib tools also provides you with a bunch of other nifty features such as credibility ratings of the website you are visiting. You can also build a fully-formatted, alphabetized, and Word-processor-ready bibliography of all the sources you have cited. 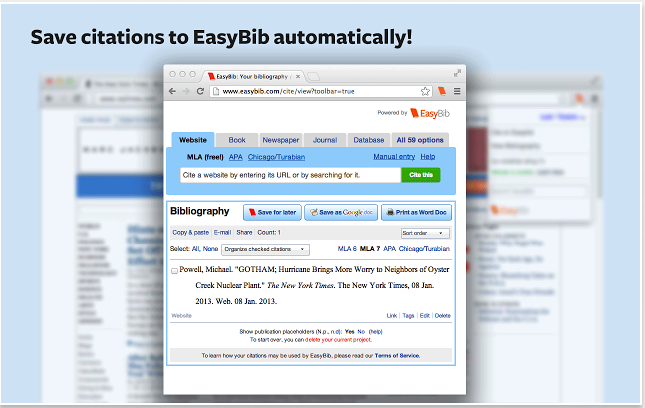 Generating citations is free for only MLA style other styles such as APA and Chicago are for premium users.Also, to save and access your citations and bibliographies you create you will have to register with EasyBib Tools. Registration is free.